EVENTS in history are considered great due to the nature of the event, the persons involved in the event and the time of the event. The event being commemorated in the month of Rabi-ul-Awwal, by Mawlid SA, is the celebration of the birth of the greatest benefactor to humanity. It is an appreciative memory of that moment when the Divine destined to change the world and the course of history by sending the best of humanity to guide them. It is indeed a historical event well worthy of our collective expression of joy. 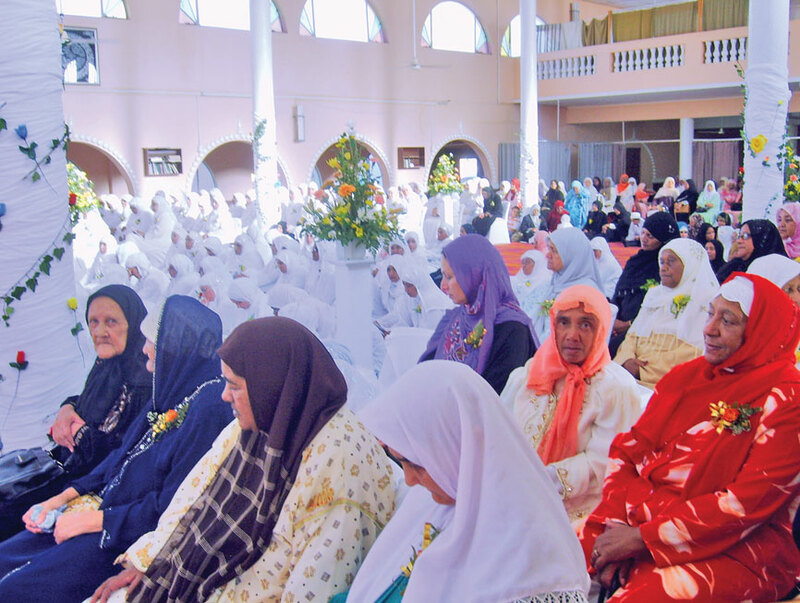 The 2014 Moulood is the second annual Mass Mawlid, the first one being so successful that the City of Cape Town has decided to partner in hosting this event on its annual calendar; informative and celebratory for Muslims, impactful and valued by all. The Prophet (SAW) was undoubtedly an embodiment of mercy and an expression of love. On the occasion of the commemoration of the noble birth of our beloved Prophet Muhammad (SAW), we rejoice (as we ought to throughout the year) in the acknowledgement of the selflessness, piety, wisdom and compassion of this last prophet. His noble mission to humanity was the teaching of submission to the Supreme, of globally applicable values, of adherence to the Straight Path; the combatting of immorality, impropriety, injustice, ignorance and oppression. He conveyed the divinely revealed Final Testament as a universally relevant text, a testimony to his abiding mission. We commemorate the Moulood of Prophet Muhammad (peace be upon him) to remind ourselves of his noble mission, to increase our knowledge of the history of the Prophet and those around him, to appreciate his struggle in implementing Din-ul-Islam, and to encourage all of us to implement the example (sunnah) of the Prophet in our daily lives. So, in commemorating the birth of the Prophet Muhammad (SAW), we celebrate his life, appreciate his sacrifices and consider his impact while we commit ourselves to implement and manifest his noble life example in our times. The life of the Prophet (SAW) is both history and biography, a code of law and mode of guidance. The sirah (life example of the Prophet) should not only be stated, narrated and analysed but be internalised and utilised as a principled model for righteous and wholesome living. To fully appreciate the significance of the Prophet’s life in this millennium, we need to evolve our perception of the sirah from a mere historical narrative into a contemporary map of guidance. It should serve as a source of inspiration and a model for excellence. 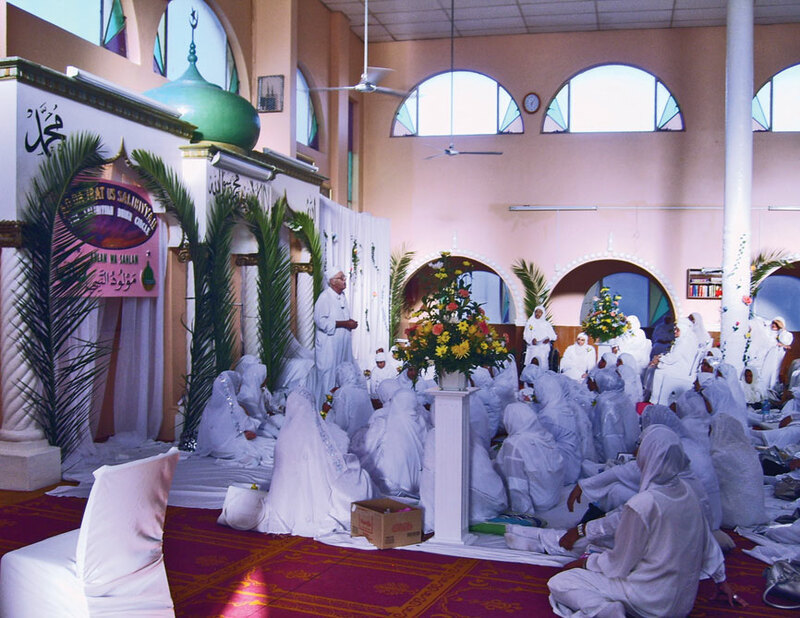 The Mawlid SA celebration is meant to revive and invigorate the sense of connection with the Prophet (SAW). It is also a revival of the first mass Moulood programme held at Green Point Track, in Cape Town, on October 12, 1952. It has been over 60 years since the great savant of Islam, Moulana Abdul Alim Siddiqui, addressed an audience of over 60 000 at Green Point Track in the largest Moulood programme ever held in Southern Africa. It is with this in mind that Mawlid SA encourages everyone to join local and international participants in this memorable event on Sunday, January 19, 2014, at Green Point Track. The call is for all to participate in a harmonious celebration expressed through songs of joy, pearls of wisdom and moving odes in praise of the universal messenger, the final emissary of the Almighty. All are invited to attend dressed in white. This year’s programme is set to be more interactive with food sales and a kiddies’ play area. Mawlid SA calls on our community to embrace this auspicious occasion through volunteering and sponsorship. ONE of the greatest days in the lives of Muslims all over the world is the birth of the greatest human being who ever lived, Nabi Muhammad (SAW). Every year, his birth, on 12 Rabi-ul-Awwal, is celebrated by Muslims globally with great reverence and enthusiasm. The occasion stirs some of the deepest feelings of a Muslim. In the past, this festive spirit started in all Muslim homes (at the Cape) and at all masajid where shaikhs and imams enlightened people on the life of the Prophet (SAW). Females would gather at masajid in the afternoon, dressed in colourful attire, and prepare the ‘rampies’. Many Muslim schools held feasts, and teachers spoke on the significance of the occasion. The Mass Mawlid, which was introduced last year and which will be celebrated again on January 19, 2014, in Green Point, is not something new. According to Judge (retired) Essa Moosa, during the 1950s to early 1960s, the Muslim Brotherhood Society (MBS) members met in the basement of the Zeenat-ul-Islam Masjid (Muir Street Mosque), where they held a series of lectures on Sunday evenings. Guest speakers included Dr Hoosain Kotwal, Shaikh Abu Bakr Najaar, Boeta Cassiem and Shaikh Salie Dien. The main objective of the MBS was to celebrate the annual Moulood. It was the only organisation in Cape Town that organised annual Moulood celebrations at the Green Point Cycle Track. Islamic schools and madrassahs in the Western Cape were invited to participate in the celebrations. The madrassahs who participated would display their banners as they marched through the main road, led by the Habibia Bagpipes and the Aleemiyah Siddiqui Brigade. Because of the children’s involvement, parents and the general public attended the function. The Green Point Cycle Track would be filled to capacity. The event was so popular and well attended that Christian neighbours would find it strange if a Muslim family was not at the Track. Long before the function, members of the MBS would organise fundraising efforts among themselves and friends. Shaikh Dien had a lot of influence; he received the necessary funds and support from the Muslim community and businesses. For example, Sayed & Sons, Coo’ee and Bashews contributed food parcels and soft drinks to the participants. Shaikh Dien was always the main speaker at these functions. His main topic was the life of Muhammad (SAW). Participating madrassahs were also given the opportunity to present their topics. There were no clashes of topics as they were prepared and submitted to the MBS months before the function. These memorable occasions started with Quranic recitals followed by scholars from various madrassahs who made dhikr and rendered qasidas. Thereafter everyone participated in the popular poems read from Riwayats of Barzanji. Finally, the salawat and a closing duah were made. Currently, the celebration is the culmination of months of intensive planning and hard work, in which the heads of jamaahs, known as captains, play a crucial role. The teams hold regular meetings three months before the birth commemoration of the Prophet (SAW). The jamaahs or teams as they are known nowadays, consist of males and females – the Boorhaanol Islam magazine used to list the names of teams, their captains, dates and venues where Moulood celebrations were held. The Red Crescent Jamaah, known as the ‘Reddies’, is the oldest jamaah in Wynberg. 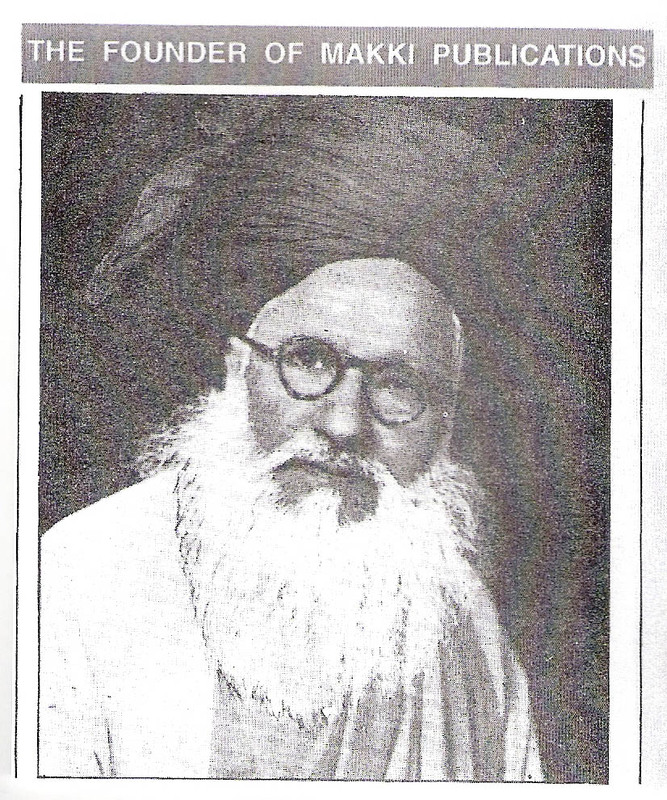 It was established by Sulaiman Lamara, the grandfather of Shaikh Hashiem Lamara, in 1890. There are approximately eight men’s jamaahs and more than 70 ladies’ jamaahs, stretching from Cape Town to as far as Paarl, Wellington and Worcester. Since the 1950s, the jamaahs have become more formal in their attire. On their outings, they are formally dressed, wearing either suits or blazers with the team name inscribed on badges, and wearing red fezzes. It is evident that they emulated this from the so-called Malay choirs attire. The laagoes (tunes) of the jamaahs originated from Malayu. Shaikh Yusuf, who followed the Khalwatiyyah order, brought Sarful Annam, written by Ibn Jawzi, from Yemen, to the Cape. The Cape Muslims are the only people who follow the system of tokang and djawap. It is not practised in Indonesia, Malaysia or in India. With the advent of the Qadariyyah order at the Cape, al-Barzanji’s Moulood format became popular. Like many liturgies, al-Barzanji’s work is also divided into two parts: the riwayats that are meant for individual recitation, and the ashrakal, which is recited by the congregation while they are standing. The most extensive translation of this work, which is frequently used at the Cape throughout the year, was written by Shaikh Ismail Ganief Edwards in Arabic Afrikaans. The annual Moulood celebration is one of the Cape traditions which has, undoubtedly, brought many Cape Muslims together. Dr Ebrahim is a lecturer in Religious Studies, History, Ulum al-Quran and Ilm al-Kalam at International Peace College South Africa (IPSA). This article was first published in the January 10, 2014 print edition of Muslim Views. WHEN I first visited Madinah nearly thirty years ago, an askari – a tomb guard – slapped my hands when I raised them in supplication facing the Prophet’s grave. ‘Shirk!’ he hissed sanctimoniously, telling me to face the qiblah wall instead. My blood boiling at his insinuation that I was about to commit polytheism by greeting the Prophet (SAW), my first thought was to give this self-righteous moron a beating. It was the 1980s and I was an angry young man. Thankfully, while I realised that the Companion Sayyidina Umar (RA) buried next to Muhammad (SAW) would probably also have wanted to thrash this boorish askari, I remembered that the Prophet (SAW) would definitely have steered the issue into calm waters. I moved on, and while the askari berated a group of Turks who were ignoring him, I quietly raised my hands again. I remembered the words of Imam Malik (RA), who’d told the second Abbasid Caliph, Abu Jafr al-Mansur, over 1 000 years ago to face the Prophet (SAW) when he greeted him. This etiquette speaks to the attributed Prophetic Tradition that while all prophets taste mortal death they are alive in the barzakh – the inter-space between earthly death and the final after-life. I would, therefore, not be passing salutations upon a lifeless pile of bones as so many literalists would have us believe. The great 11th century scholar, Al-Baihaqi, explains that prophets’ souls are returned to them after death so they are ‘alive in their Lord’s presence’ like the martyrs. This explains why the Prophet (SAW) has been able to explain in such detail the physical appearance of prophets such as Musa, Isa and Ibrahim (AS). A sound Tradition, quoted by Abu Hurairah, has the Prophet (SAW) saying that in his grave no-one would greet him from near or afar without Allah, the Highest, returning his soul to him so he could return that greeting – and so that Allah could bless that person ten times. In the barzakh, the Prophet (SAW) possesses a supra-consciousness. He said that no-one would invoke blessings on him until the Day of Resurrection without a special angel informing him of the person’s name and lineage. This is further reinforced by the writings of Sayyid Muhammad Alawi al-Maliki, one of the modern era’s most authoritative scholars, saying that as a community we are shown to the Prophet (SAW) morning and evening and that he cares deeply about us and prays constantly for our welfare. In the angelic realm, it is said that the Prophet’s (SAW) tomb – the most sacred spot on our planet – is abuzz with heavenly beings, unimaginable colour and unearthly light. Each dawn, some 70 000 angels who have just made devotions around the Kabah in Makkah, come to bestow salutations upon him (SAW). These angels have been described as a ‘river of intense energy and light’. They only greet the Prophet (SAW) once and will re-appear on the Final Day in a dazzling and uncountable array. However, for those who may still not accept that the Prophet Muhammad (SAW) is ‘alive’, there is plentiful evidence that he is, at the very least, highly aware of us. He (SAW), of course, can appear in dreams, and he did say that Shaitan – the devil – would not be able to copy his form. The first account, a few decades after the death of the Prophet (SAW), is attributed to Sa’id ibn al-Musaib, the only person present in the Prophet’s (SAW) mosque after Harra, a battle in which Yazid ibn Muawiyya had sacked Madinah, killing 10 000 Companions. For three days there was no adhan but each prayer time, Ibn al-Musaib would hear the call to prayer coming from the Prophet’s (SAW) grave. Muhammad ibn Hibban, the 10th century Hadith master, reports Ibrahim ibn Shaiban greeting the Prophet (SAW) who audibly replied to his salaams. If that isn’t enough, there are many who will claim that the ‘presence’ of the Prophet (SAW) comforted them. Martin Lings, the author of Muhammad, told me before his passing in 2005 that when he had difficulties with the book, he felt the gentle hand of the Prophet (SAW). There was also an incident in Madinah when a young boy, sent into the Prophet’s (SAW) burial chamber to retrieve a dead pigeon, came out with an apple. Shaikh Ahmad Tijani, the Algerian founder of the Tijani Sufi Order, had seen the Prophet (SAW) in a wakeful state, and had conversed with him. But the most famous incident proving the Prophet’s (SAW) state occurred in the 12th century when Sayyid Ahmad Rifaii, a descendant of the Blessed House, visited the tomb of his forefather. A man of modesty, Sayyid Rifaii had not dressed himself in the travelling garb that Prophetic descendants did in those days. So, when he requested permission to enter the chamber – a privilege allowed to the Sayyids – the guard stopped him, asking him for proof of his lineage. Disappointed, Sayyid Rifaii cried out, ‘Assalamu alaikum, ya jaddi.’ (Peace on you, my grandfather). To everybody’s amazement, the Prophet (SAW) answered, ‘Wa alaikum salam, ya walidi.’ (And peace on you, my son). Then the Prophet (SAW) had extended his hand out from the grave and Sayyid Rifaii had kissed it. For those literalists who would like to write this off as a Sufi fairy story, Sayyid Rifaii’s kissing of the Prophet’s (SAW) noble hand was witnessed by hundreds.